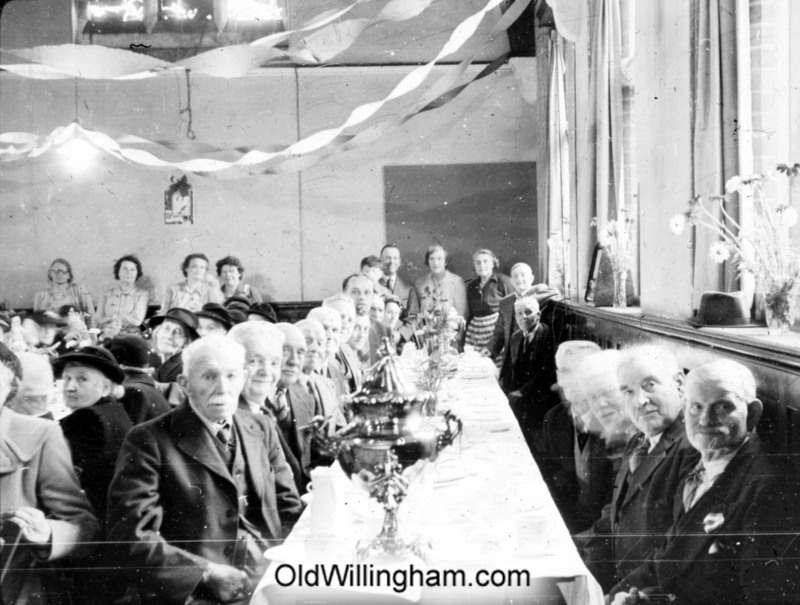 A fixture of village life at Christmas used to be the Pensioners’ Christmas Tea Party. There would be tea and cake, games and singing and a merry time would be had by all. Here we see the assembled party in the old church hall on Church Street. It’s interesting to see how the men and women are seated on separate tables. Unless someone can identify faces on the photo it’s very hard to date this event – but it is probably mid 1950’s. Although we might scoff at the idea of such a formal event these days, it was part of community life and it is still important to remember than some older people can feel lonely and left out at the Christmas time.